Montana is the Mecca for trout fishing in the West. CrossCurrents Fly Shop, located in Helena, Montana, is a short drive from the world famous Missouri River and Big Blackfoot River as well as many small tributaries filled with wild and native trout. The Missouri River offers trophy-sized rainbows and browns while the Big Blackfoot and other smaller freestone streams provide a more intimate and natural experience fishing for native westlope cutthroat. I’ve been fishing Tenkara for over five years and love its simplicity. 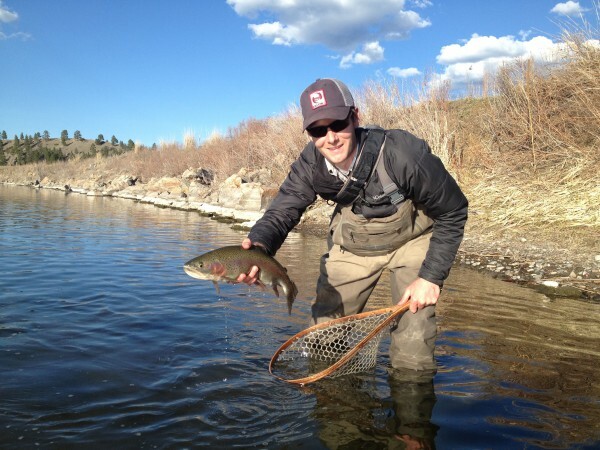 Tenkara style fly-fishing offers new opportunities for the novice and experienced angler. Once you’ve spent the day fishing Tenkara you will never look at a river the same way! In addition to fly fishing, I enjoy western history and learning about the bugs trout eat. I teach courses on both subjects at Carroll College. A teacher by trade, I love sharing what I’ve learned with others. Catching fish is fun, but understanding how to read a river, entomology, and the history of the area really makes for a memorable day. Whether you are looking for big water and big fish or small water and native trout, I can facilitate the ideal trip for you. Come fish with me in Montana! Hi. Floating Smith River with a 6/28 launch date. Besides a conventional fly rod, I just purchased a Tenkara rod. Would the Smith be a good River on which to use the Tenkara as well as my other rod?